Natural, biological parts washing – The BIO-CIRCLE parts washers offer the optimal solution for parts washing. 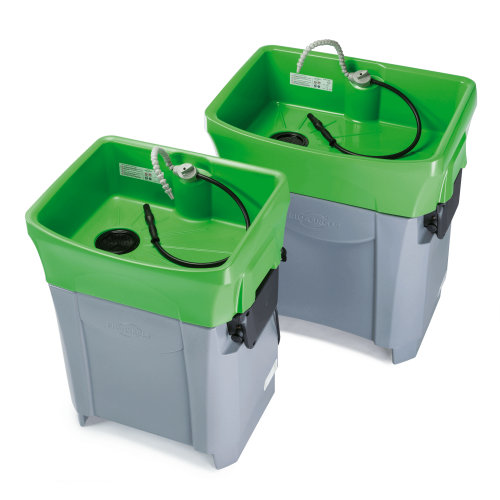 With their easy handling, the fast, safe and eco-friendly cleaning also of strongly contaminated parts, and the long service lives of the VOC-free Liquid, the BIO-CIRCLE parts washers are simply unbeatable in terms of economic efficiency. 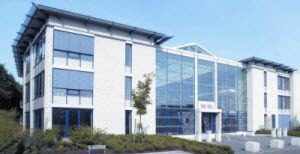 The BIO-CIRCLE systems operate without solvents. 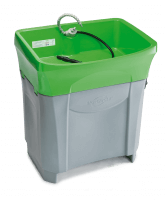 Replace your cold-cleaner parts washer with the BIO-CIRCLE parts washer and make an active contribution to your employees’ occupational safety and to environmental protection.